Everyone has days where they feel like they have the worst job in the world and wonder if they should quit their current position and go find something better. Before taking that plunge you should remember that there are no perfect jobs, companies or bosses. A good question to ask is, “Do I have more good days than bad?” If there are more good days, is it improving or getting worse? Where will your job satisfaction be in six months? Now asks yourself, have you tried to improve the situation? Is there a solution that would elevate your job satisfaction without having to make a move? We all like to feel sincere appreciation; if you work for a leader that recognizes you and makes you feel appreciated, understand that isn’t guaranteed at every job. Before packing your bags, have you considered talking with your manager? They are human and sometimes just need a gentle reminder. On the other hand, if you have communicated, you always have the choice to work where you feel appreciated. •	If you start working at a new firm and need to begin your day at 8:30 a.m., they have never experienced you being the early bird at 7:00 a.m.; whereas, your former employer may have grown attached to your early arrivals. •	If you have routinely worked 60-70 hours a week but need to shift to a traditional 40-hour week, a new employer is totally comfortable with that outlook, whereas, your current employer may have a very different set of expectations. Our industry has a shortage of talent so good employees have plenty of leverage and room to grow. It is critical that employers develop and increase your skillset, not just your salary. As a career consultant, it is devastating when a candidate’s income exceeds their qualifications. We encourage you to work with one of our consultants to help lift the ceiling off your head and increase your earning potential and job security. One of the quickest ways to fall out of love with your job is to have an ineffective manager. Unfortunately, not all managers are created equally, but they all impact your job satisfaction. Can you manage your manager effectively? Are you able to communicate problems, and if so, do they work to fix them? Usually, a simple apology or retreat from your stance can repair the damage, but other times, it becomes clear that you have fallen from grace. If you try to restore trust and are not able to do so, it may be time to make a change. Life is too short to feel like someone is working to sabotage you, and frankly, if a high-level person has determined you are minced meat, how far do you think you will progress at that firm? If you don’t get the raise or bonus that you think you deserve, the knee jerk reaction might be, “If they are not going to pay me what I am worth, I will find a place that will.” Before jumping off the cliff, ask yourself, compared to your peers within the industry how are you paid? If you have a trusted recruiter, who specializes within your industry, they are a fantastic source of valid and up-to-date information and can consider your specific skills, experiences and circumstances. Warning: Do not do an internal income survey with your colleagues. Although it might be tempting to know what your co-workers are making, it is a very easy way to lose favor with the boss. One of the worst times to throw yourself onto the market is when you will be received as overcompensated. Before leaving get additional training, and obtain certifications to confirm skills. Otherwise, you’ll need to reduce your income expectations! There is a theory in business that 20% of the employees do 80% of the work. However, when a few employees fall in the category of “dead” weight and management is not willing to address the problem, it can become 20% of the people do 95% of the work. If you are a loyal, hardworking and solid employee, you’re probably already aware that stronger employees tend to carry the weight of the weaker ones, but working in an environment where ineffective employees are coddled and protected can be a gamechanger. If you smell financial trouble at your firm, don’t panic; sometimes the best thing that can happen to a company is a little financial right-siding. However, when a firm’s decisions become very short-term oriented with total disregard for the future, pay attention, this is a dead give away that your firm is in survival mode. If you are a superior employee, you don’t have to fear being let go as much as you should dread being left on the sinking ship. Weaker employees do not survive the first and second waves of layoffs, but excellent employees get the privilege of carrying the workload left behind by the laid off employees, what an honor! If more of your days are bad than good and you’ve made an honest attempt to resolve the issues at your current firm, be kind to yourself and find a place that you can enjoy. 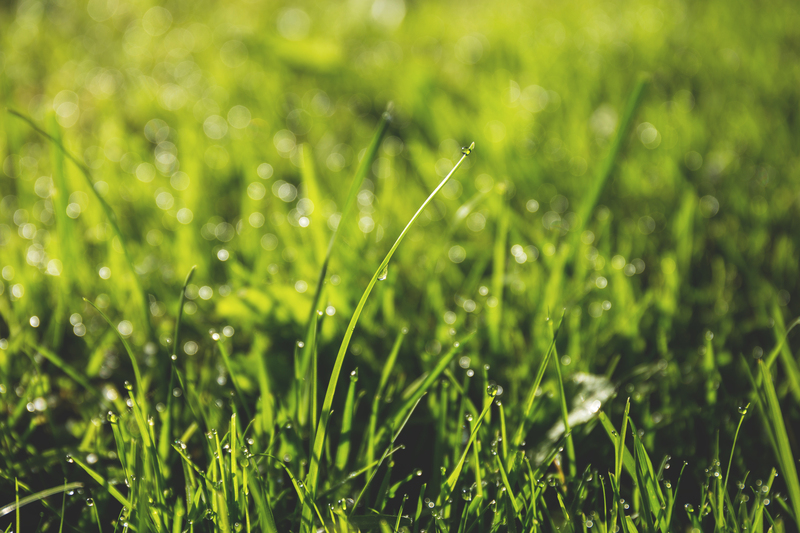 As the saying goes, “the grass isn’t always greener” but if you are looking at a dried out brown lawn, and you’ve tried watering it, the chances are high that the grass might be greener somewhere else. If you've decided it's time to leave, we can help! Call us at (916) 569-1500 and one of our recruiters can help you find someplace where the grass is greener!